Ted Kluck is a freelance writer specializing in sports and faith. He has written eight books, including Dallas and the Spitfire, and his work has appeared in such places as ESPN the Magazine, and Christianity Today. His first book won a Christianity Today Book of the Year award. Ted lives in Grand Ledge, Michigan, with his wife and two sons.Ted Kluck is a freelance writer specializing in sports and faith. He has written eight books, including Dallas and the Spitfire, and his work has appeared in such places as ESPN the Magazine, and Christianity Today. His first book won a Christianity Today Book of the Year award. Ted lives in Grand Ledge, Michigan, with his wife and two sons. 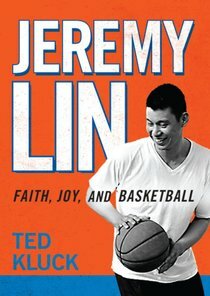 About "Jeremy Lin: Faith Joy and Basketball"